3 days later, Erfang’s xiaojie, Li Chang Ru, could no longer wait and immediately put on her new attire. The dress was made of Jinqiao silk. The yellow/green dress was radiant and blinding. A phoenix was embroidered on the dress and when walking, the changing of colours and patterns was unreal. Compared to other days, Chang Ru appeared even more elegant. When she appeared at He Xiang Yuan, she caught everyone’s attention. Right then Li Zhang Le appeared holding her fortune cat. The moment she noticed the radiant and elegant dress on Li Chang Ru, her expression instantly turned for the worse. Li Wei Yang was already present long before Chang Ru and Zhang Le. From affair, she witnessed this scene and grinned. This Da jie of hers most prized possession was her beauty, believing herself to be the most beautiful person in the world. As a result, Zhang Le also believes all the best things should belong to her. For this reason, when Zhang Le saw the beautiful dress on Li Chang Ru—which was made of the silk that should’ve been hers—her face turned green. She didn’t look anything like the compassionate and kind-hearted person she was renowned for. Li Wei Yang walked down the hall. Lao furen’s hobby was to keep birds as pets. Her favorite was the red parrot kept at the entrance. There had once been thieves in the Prime Minister’s estate and it was due to this talking parrot that had saved Lao furen’s life, which was why this parrot was especially important to Lao furen. The parrot lived inside a cage made out of boxwood. When it saw Li Wei Yang appearing close to it, the parrot cocked its head and made a rowdy noise. Li Wei Yang grinned, pulled back the curtains and entered. Li Zhang Le and Li Chang Ru—one following the other—made their way over. 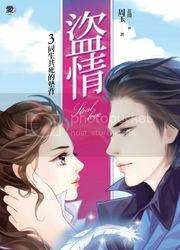 The servant was about to pull back the curtains for the two but Li Zhang Le suddenly heard a voice over her head. “Er xiaojie is so pretty! Er xiaojie is so pretty!” The voice was high-pitched and childish. In a quiet place, the voice was even clearer. The parrot’s voice was like a knife slicing through the calm that Li Zhang Le was fighting hard to keep. The parrot was merely a pet. It didn’t understand things as it repeated the phrase several times. Paired with the sound of wings flapping, the fortune cat in Li Zhang Le’s arms abruptly cried out and dove for the parrot. Lu Zhi cried out loud. She hurriedly used the wooden stick to take down the parrot’s cage and protected the bird in her arms. The fortune cat jumped at Lu Zhi’s legs, snarled and growled threateningly with no intentions of leaving as the cat glared at the parrot. The parrot was quite smart. Upon hearing Lu Zhi’s threat, it was scared and did not dare to speak any further, instead shivering in Lu Zhi’s arms. Li Zhang Le suppressed her anger and held her fortune cat. “Good cat, stop fooling around.” As she said so, her face turned brighter with a smile and walked inside as if nothing had happened. When greetings were being given, even though Lao furen’s face remained as usual, Li Wei Yang knew that Lao furen had already known about what happened with the pets. Zi Yan obeyed and went out to summon Hua Mei. Meanwhile Li Wei Yang enjoyed her tea and patiently waited. Shortly after, Zi Yan returned with Hua Mei following. Li Wei Yang didn’t even care to raise an eyelid. 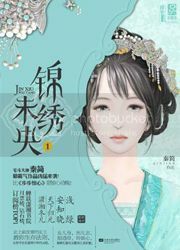 Hua Mei had always been guarded by Zi Yan, therefore, she rarely has the opportunity to enter Wei Yang’s bedchamber. But today she was summoned by xiaojie, she couldn’t help feel restless. Even though Hua Mei was a lowly maidservant, she had never feared Li Wei Yang, mainly because she had Da furen as her powerful backup. Even if San xiaojie disliked her, there was nothing San xiaojie could do to her. Yet after the last incident, Hua Mei truly thought San xiaojie was . . . a little unpredictable. It was hard to know what she would do next. This was an important task, which was why Zi Yan was shocked. Her lips twitched as she looked at Bai Zhi who was actually quite calm and composed. Noticing Bai Zhi’s expression, Zi Yan swallowed her words and didn’t say anything. Startled, Hua Mei stared at Li Wei Yang. “Yes.” Bai Zhi immediately turned around and left. Hua Mei beamed happily. San xiaojie was probably afraid of Da furen, which was why she decided to give me this important task! Hmph! Then again, she’s still just the concubine’s daughter, still need to live according to the matron’s mood! Early the next morning, Hua Mei didn’t have time to give the coffers a thorough check-up before she was interrupted by Lao furen’s people, who was sent over to tailor new clothes for San xiaojie. Hua Mei brought out the coffers, opened it up, then immediately heard Bai Zhi’s angry voice. Hua Mei stiffened and looked down. The silk brocades were all tangled up in a messy pile and had cat scratch marks all over. Worse, it was all destroyed! On the way to He Xiang Yuan, Li Wei Yang didn’t stop but walked right into the courtyard. Lao furen was sitting and sipping on her tea but the moment she heard Wei Yang’s voice, her eyebrows furrowed. She was about to say something but right then, Lu Zhi stumbled into the hall. Lao furen shot up on her feet. The tea cup in her hand fell and shattered into pieces. Ohhhh, what is this play? I wonder, I wonder! Ohohoho, things will be interesting! Fortune cat, you are about to encounter some misfortune. In the past, you dared to scratch our Wei Yang. Today, we’ll see how you get your recompense. uh oh, uh ohhh! stuff is hitting the fan now!